Looking to customize the look and feel on your website? 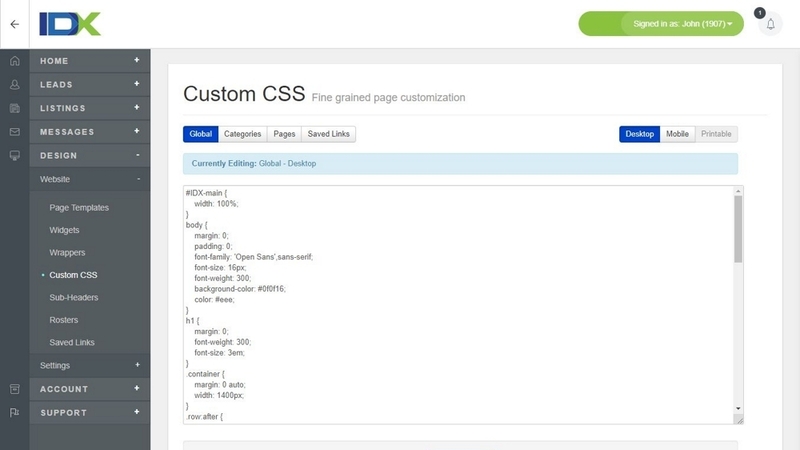 We encourage our subscribers to take advantage of our flexible platform using CSS to customize their IDX page content. Our intuitive control panel includes helpful labels that make it easy to tell which custom CSS properties are applied to each page level.